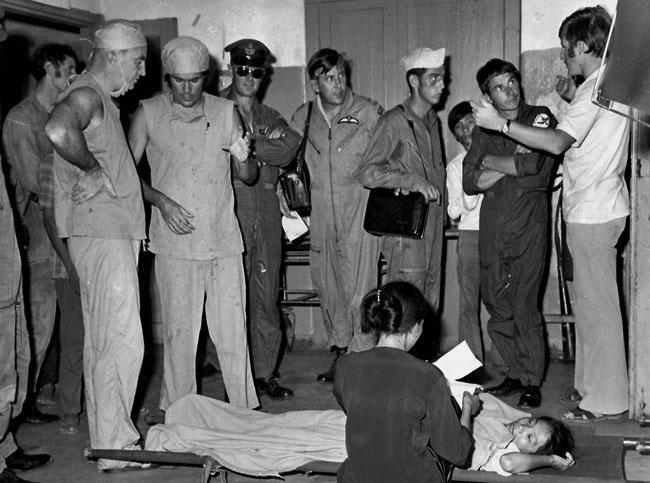 The New Zealand Civilian Surgical Team was based in Quy Nhon, Binh Dinh at the Province Hospital between 1963 and 1975. The New Zealand Services Medical Team was based 100km north in Bong Son. Inaugural civilian surgical team leader Dr Michael Shackleton's commitment to treating every patient equally regardless of origin set the tone for the trust and friendship that was to evolve between Vietnamese people and New Zealanders. Over this time, Binh Dinh had six doctors for a population of around a million people - and struggled with the delivery of health care to its people. The civilian and services medical teams made a significant difference to the provision of health services to all in Binh Dinh - including the most vulnerable. ​Many New Zealanders are remembered for their commitment to helping civilian casualties of war. One such is Dr Margaret Neave. Her efforts in establishing baby clinics, both at Province Hospital and in the highland districts, are remembered and revered today. At the war's end in 1975, Vietnam became isolated from the international community. New Zealanders with close associations were unable to return. International relations resumed around 1990, and a small group of New Zealanders returned to Quy Nhon. They found a population desperate for health care and equipment - and a people wanting help. The situation was well-documented in a TVNZ episode of Frontline. This extensive group of war-era and post-war health workers created a legacy of goodwill towards New Zealanders within the people of Quy Nhon and Binh Dinh. A little of the health trust’s 50-year legacy and vision for the future is explained in a special online Ministry for Culture & Heritage publication. The New Zealand Embassy in Hanoi opened in November 1995. In 1996 NZ medical teams from Quy Nhon & Bong Son reunited in Wellington. The health trust was set up soon after. Our health & educational initiatives in Binh Dinh have been ongoing since then.